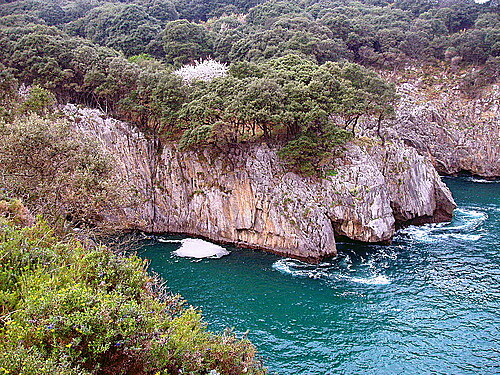 Cave Pindal is situated by the San Emeterio Headland, near the village of Pimiango, in the eastern limits of the Principality of Asturias. 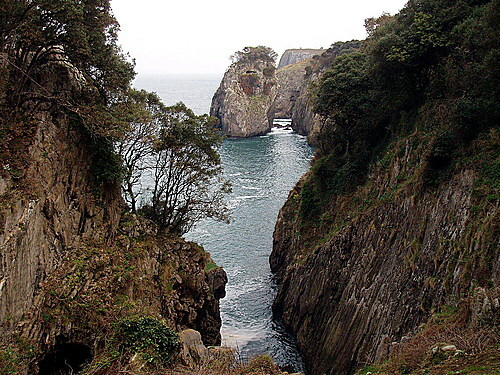 The cave entrance, facing east, has a magnificent view of cliffs hanging over the Cantabrian Sea. However, the Paleolithic artists had a very different view from this same place, as the coast line was then several kilometers further north, due to the marine regression which took place in the last glaciation. The topography of Cave Pindal is quite simple. 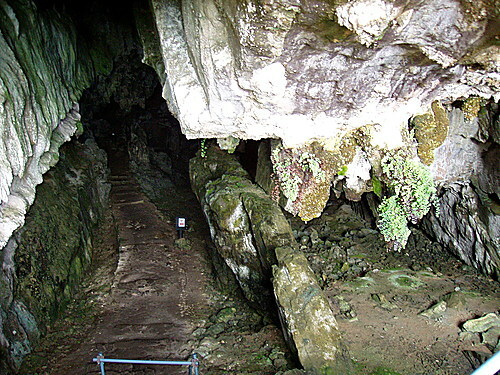 The cave is basically a single large gallery, with no side-passages, 360m long. This tube was once a natural resurgence for a stream, and a small stream still flows in the lowest part of the cave in wet weather conditions. 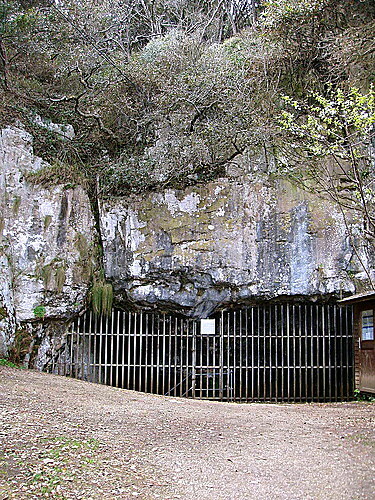 The cave art was discovered by H. Alcalde del Rio in the region, in April 1908, and so it was the first cave with Paleolithic art to be known in Asturias. 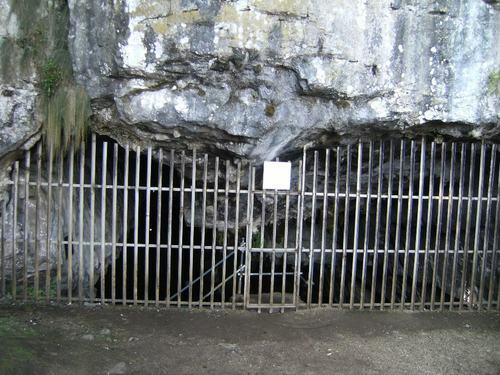 Inside the cave, about 240m from the entrance, there is a large panel of nearly twenty meters. It is about fifty pieces, almost all well-known figure in the cave, they are animals and abstract signs, made with a small amount of technical procedures. The signs are the most homogeneous, since they are all painted red.